Note: Picture above is a slightly bad scan of gym from Volume 20 of the manga. And this is where the students get out of the classroom for a while... to sharpen their minds and bodies during their physical education classes. Whether the weather is good or bad, there is plenty of room for multiple activities to take place. The school's athletic staff is among the best in Tokyo. There won't be a boring moment while you're here. We've invited many of the characters that appear throughout Great Teacher Onizuka here today-sort of like an open house. There are the people who aren't either faculty of Holy Forest or not of Class 3-4. You'll be able to meet them here. Unfortunately, due to time and space constraints, we couldn't invite every single character here. The people in the gynasium are those who have had little or impact on the series. They are either background or minor situational characters. Some of you may not care about the minor/little characters, but they were included in Great Teacher Onizuka anyway. It's fair that they get some mention. Heck... some of you might disagree with how the characters are classified... but they have to go somewhere! The major ones are gathered in the cafeteria. Also note that there is some information (BASIC AND SLIGHT SPOILER!) available here. Please proceed with caution! YOU HAVE BEEN WARNED!!! Section first created on: April 15, 2004. >>Subsequently, I don't own any of the OTHER anime/videogame characters mentioned/referenced to/or shown below. **Note listings below ARE NOT in alphabetical order. Plus the guest list can change at any time!!! Only appearance: Anime>Volume 1-Lesson 1, Manga>Volume 1-Lesson 2 up to Volume 2-Lesson 6. The female group of student teachers over at Musashino Public High School. Mikan reminds me a bit of Marcie from Charlie Brown. These ladies help to 'reveal' the contrast of student behavior over at Musashino, as well as help get an idea of the various thought processes of becoming a teacher. Only appearance: Anime>Volume 3-Lesson 12 up to Lesson Volume 4-Lesson 15, Manga>Volume 5-Lesson 40 up to Volume 7-Lesson 51. In the manga, she's the head of 'The Mother and Child in School Victims' Support Group." In the anime, she's the president of the 'Society of the Study of Victimization of Mothers and Children in Education.' Honestly I think it sounded cooler in the anime despite the fact that they both are technically about the same thing... 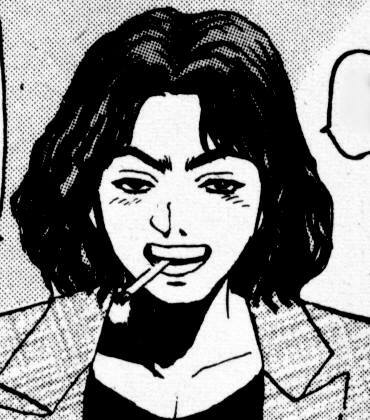 Anyway... Teshigawara calls her in... in his plan to try to get rid of Onizuka. 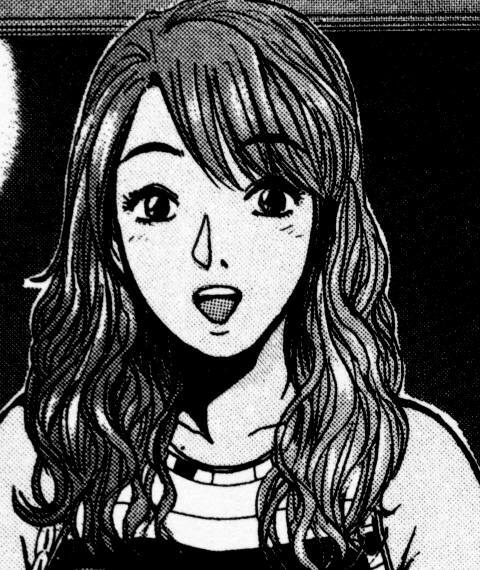 She starts to hate Onizuka after an unfortunate accident in the classroom. 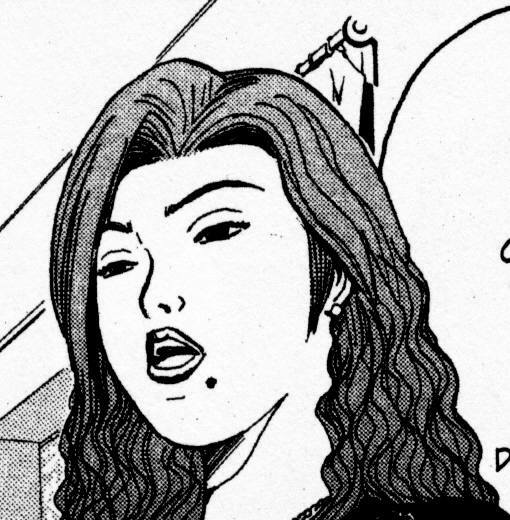 She was the one (getting the idea from Teshigawara) to have Onizuka take the Togaku test. Has a change of heart after Onizuka's brave, unselfish, and risky move to save Hidemi. **Note that the last name can be spelled differently, either depending on version or consistency throughout the series. It can be "Ohta," "Oda," or "Ota." Only appearance: Anime>Volume 4-Lesson 15, Manga>Volume 7-Lesson 51. A congressman who's office does some things... and some people want to take advantage of it. This would involve one daughter Hidemi. Has a lot of power, and only respect for Onizuka after a certain event occurs. 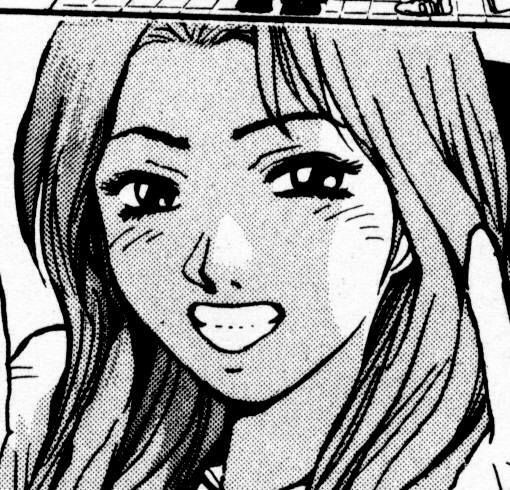 She is the sole reason why Onizuka becomes a teacher in the first place. Kinda scary if you think about it... Well that and the exact cause that made Onizuka think twice. -No mention of what specific class or grade level he's in. 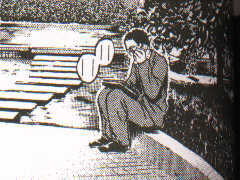 It's possible that he might in Class 3-4 (though not provable)... seeing as how he and a friend was holding several papers/manila envelopes when Onizuka offered him some cookies-paper and such which indicate that they could be doing something for him (along the understanding/concept that Onizuka only asks students of his own homeroom to do things for him on occasion). This is why he was 'put' in the gym. *NOTE: Profile/commentary based on the English version. This might have been different in other versions of GTO. Read below. -Contestant #98 during the Onizuka vs. 100 challenger arm wrestling challenge. You might remember Heihachi from a certain Namco videogame series called "Tekken." Apparently GTO creator Tohru Fujisawa is a big fan of videogames (the BioHazard/Resident Evil drawings in Volume 15 of the manga is another big hint). [Either that or someone at Tokyopop doing the translating must really have a sense of humor.] Throwing in Heihachi bring a slight moment of comedy during a serious and tense match. 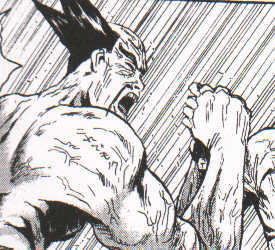 Apparently Onizuka is TOUGHER than Heihachi. Brother of one Nao Kadena. Is the reason Nao has been doing what she had been doing-which led to the nurse's job here at Holy Forest Academy. Something happened in the past which led to all of this. Special Note: She made a 'cameo appearance' in Volume 6-Lesson 25. Onizuka, Murai, Fujiyoshi, and Kusano were looking at a magazine with ladies posing... with a certain degree... ur... lack of clothing if you catch my drift... Granted they might not look alike, but they are the same person. There must have been something about Nagisa that had Onizuka begging her to do lessons for class 3-4 for him... (Manga Volumes 14 & 15). -Contestant #88 during the Onizuka vs. 100 challenger arm wrestling challenge. Words couldn't describe what I thought when I first saw this character. If you want something 'abnormal' in the GTO Universe, then you have a perfect candidate right here. 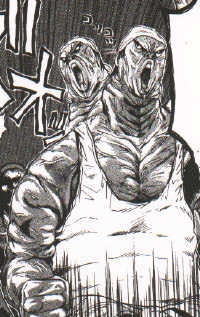 Truly something strange (and you thought Fukuroda and Kochitani were ugly). For some reason, we just had to invite him to the gym. LEFT: Miss Kahara-BEFORE messing with Class 4. RIGHT: Miss Kahara-AFTER messing with Class 4. Only 'appearance': Anime VERSION ONLY>Volume 5-Lessons 21 & 22. 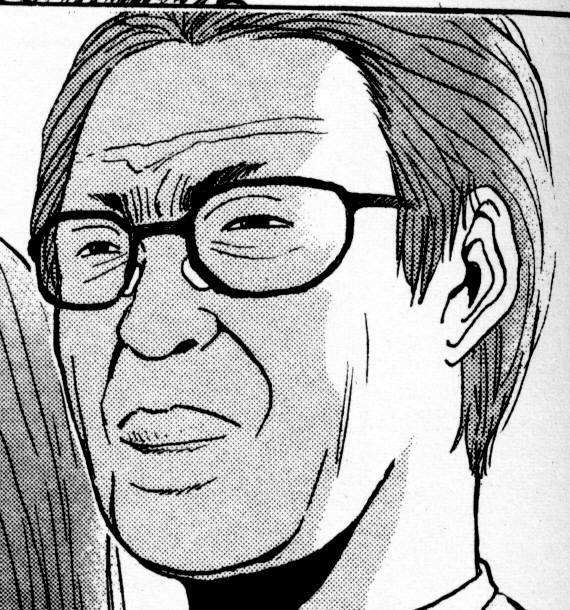 Is the reason Miss Fuyutsuki became a teacher in the first place. When she was teaching at a school near/at Hokuba, Miss Fuyutsuki was able to see everything that was going on... the fun... joy... love that Miss Sagara gave. Wanting to be a part of that... or at least give that to her students was something that helped change Miss Fuyutsuki's life. Her affair with a married teacher led to her dismissal, and Hitomi Kizaki's hatred of all teachers. We get to her Miss Sagara only through flashbacks. Their anime incarnations: They weren't given names here... and wow what a difference!!! When Kanzaki really unleashed her wrath onto Holy Forest Academy (after bombing Miss Fujimori), no one was spared. Even the senior class got nailed. 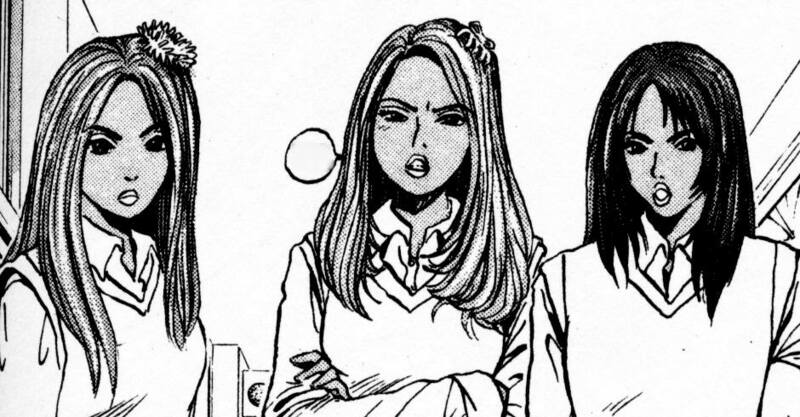 These three girls came over to see Kanzaki, presumably to teach her a lesson. Unfortunately, Kanzaki plays yet another practical joke on them... well she outsmarted them... but what she did to them was a bit too serious and close to real life to be joking about. Their nickname probably came about as a result of their dark tan, and brute strength. I'm thinking intelligence isn't their strong suit either. They didn't make their appearance until Nao Kadena became the nurse here (which meant that they didn't 'show up' during Kanzaki's schoolwide terrorism back in Volume 4). The 'Black Stars' wanted to get Nao because of the way she dressed (and getting the attention of the guys no less). They wound up getting help from her in the nicest way... Here their dark skin was more a result of bad cosmetic choices. Note: The 'analysis' of how these three girls got their nickname WAS NOT MEANT to be insulting to any one person or group. No harm was intended! Only appearance: Anime>Volume 1-Lesson 1, Manga>Volume 1-Lesson 2 up to (mention in) Volume 2-Lesson 6. Was one of the other student teachers over at Musashino Public High School. Onizuka looked up to him in the beginning of the student teaching because of the experience he had with women. His actions to try to hook up with the women (even some of under the legal limit) usually gets him into trouble... or at worst prevent him from actually passing the student teaching portion of his training. Only appearance: Manga ONLY-Volume 19-Lessons 154 to 156. The older brother in the Teshigawara family. We learn several things about the Teshigawara family throughout the volume... and you thought your family had problems. Is he the voice of reason throughout the chaos? >>Gotta love characters with glasses that strangely look alike to one another. Slight resemblance to Kikuchi. The man in the picture below is the head of the Teshigawara family... though he's not quite the head of the family you might think he is. Takeru brought him along today for us to um meet the man. -The father of one somewhat messed up Yuuki Miyamori. -An apparently powerful figure in the GTO world. He's a part of the Japanese mob/yakuza. -In the manga version, we get to find out more about our dear Azusa Fuyutsuki, and what led her to become a teacher in this version. Certain things with one Ai Tokiwa forced Fuyutsuki to reflect on a few things. This Saito is somewhat like a certain Onizuka in some aspects... which is maybe why she's taken a shine to him. 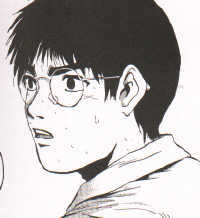 By the way, this Saito SHOULD NOT BE CONFUSED with the Saito from the anime as they are two different characters. Student at Holy Forest Academy, specifically in Class 2 of an unidenified year. She was the target of the 'Angels' emailing scheme. Unable to take the pressure or cope with what the email said and did, she attempts suicide, but ends up destroying Uchiyamada's Cresta. She managed to live despite falling on the car (of course it's expected in the GTO World). A student teacher who ends up getting her training/experience over at Holy Forest Academy (recall Onizuka having to student teach over at Musashino Public High School in the very beginning of the series). She's quite lucky to get one Miss Fuyutsuki as a mentor during her stay (and end up training at a private school).